Do You Always Go to ‘Your Spot’ at the Airport Lounge? Travelers ricochet between the new and the familiar . We can love new destinations and also lock in on favorites or routines that we repeat over and over. I entered the Turkish Airlines lounge in Istanbul this afternoon, had a quick shower, then made a beeline down the sweeping stairs to my table near the manti counter. The position is a blend of quiet and central. The power outlets are just where I like them. The table had not been cleared from the prior guest so I did it myself. I had to have my spot. I have considered a spot by the pide station since it can be a slugfest for those during peak hours. In a few hours I depart for a new territory for me, Nakhchivan, Azerbaijan, and don’t even have a plan for how I will spend my visit. Travel psychology is odd! 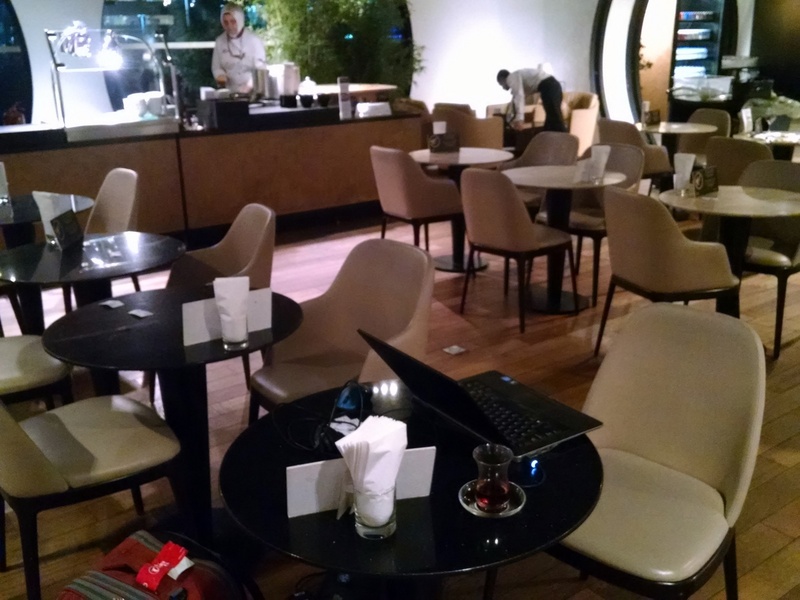 Readers, what are your airport lounge spots? I saw your post but didn’t read it till today. I was there my first visit at the same time. Would have been nice to say hello. @JP – another time, then! Safe travels. Nice meeting you last week. See you in the hood when you get back. LOL yes, I do that too when i can. I also have my *favorite* rooms in a handful of hotels. Not that those rooms are better than others, but after awhile you just get comfortable getting the same room 6x in a row. I have been known to hide ‘provisions’ in a particular room, knowing that I would be back there in a week. If you take the train there, I want to know if you get mistaken for a CIA agent.